So when the 7-foot-1, 325-pound Shaq was traded by the Miami Heat to the Phoenix Suns in February 2008, he brought with him a great story about a piece of technology that would sell his new athletic training staff on using Pulsed ElectroMagnetic Field Therapy. From there, Nelson talked with Pulsed Energy Technologies, whom he had met at an NBA Pre-Draft Combine a couple years prior. 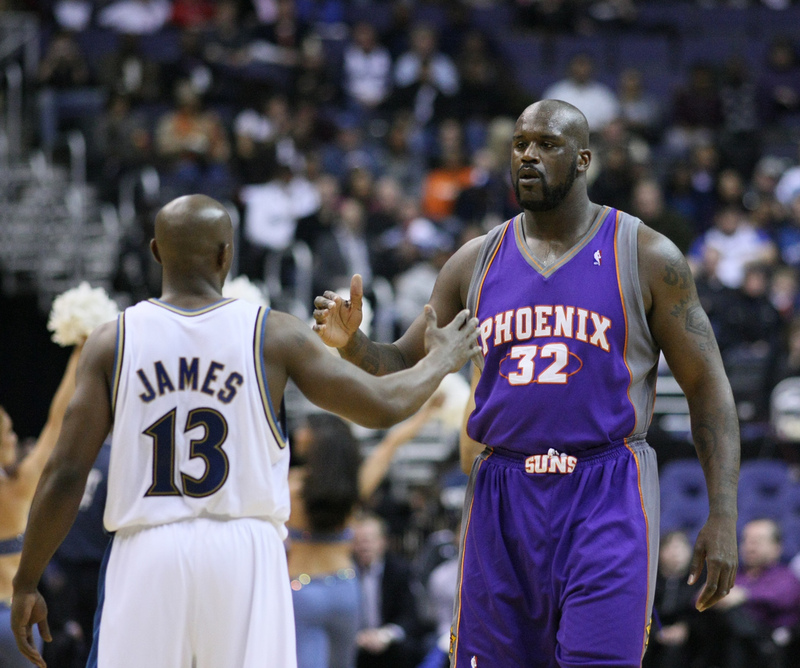 The conversations would continue past Shaq’s tenure with the Suns (O’Neal was traded to the Cleveland Cavaliers after the 2008-09 season). It wasn’t until a work stoppage (the owners locked the players out) that delayed the start of the 2011-12 season when Nelson and the Suns finally got their hands on the PER 2000 and understood the benefits of the pemf technology. And when the players returned for an abbreviated 50-game schedule, “We found out really good results with it,” Nelson said. That is saying something considering Nelson’s success with injury treatment and prevention. Shaquille O’Neal with Pulsed Energy Technologies. Nelson and his staff — he currently oversees three full-time certified athletic trainers: Mike Elliott (strength), Tom Maystadt (rehab) and Quinton Sawyer (sports science) — do a remarkable amount of tracking of each player’s body, with small daily checks and larger monthly surveys. That helps identify any abnormalities and allows the staff to potentially treat players before an injury becomes a bigger issue. Those measures have helped make the Suns one of the pre-eminent training staffs in the four major sports, with a great track record of players remaining on the court. While Nelson uses kinesiology to determine primary treatment, the PER 2000 is a part of the Suns’ regular routine. Using the PER 2000 isn’t restricted to a certain type of injury. Nelson does stress that the PER 2000 is not a treatment that can be used alone, just that it helps speed the recovery process by sending pulses of electricity right to the afflicted area. “You feel it pretty much go wherever the pain is. That is one of the unique things about it,” Nelson said. “It will identify and isolate right where that pain is. You can move the applicator around and find the exact spot and they’ll go, ‘Yeah, that’s where I’m sore.’ It works well that way.